It is probably true to say that when asked what they think typifies the Algarve, most people would say golf, food and beautiful beaches – maybe or maybe not in that particular order. Some are lucky enough to spend a week or two in this delightful region of southern Portugal, giving them ample time to explore this expansive 200km coastline of golden sands flanked by rugged rock formations. But for those who visit on a shorter timescale, or simply for those who are looking to make sure they get the best out of their stay, we have devised a one-day itinerary that delivers everything the Algarve stands for in one easy shot. Golf, Gastronomy and Golden Sands delivers you a morning on the golf course and an afternoon on the sands, with two superb, memory-inducing gastronomic destinations thrown in for good measure. High budget it may be, but high impact it certainly is. 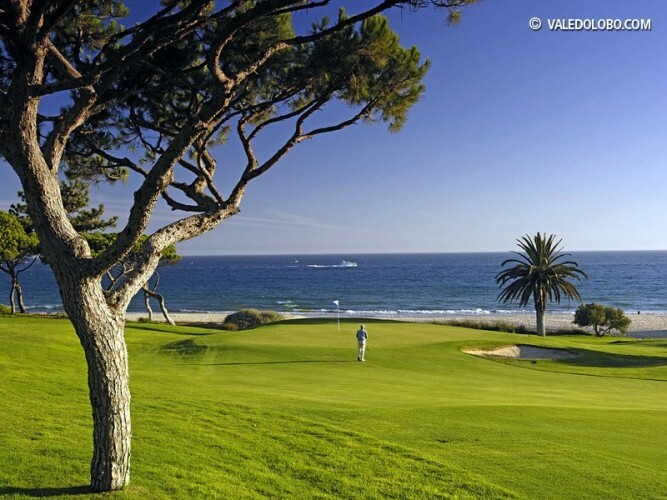 From your base in or close to Faro, the Vale do Lobo resort is just a short drive away and makes the perfect spot to start your day of golf, gastronomy and golden sands. The resort is home to two challenging courses of world-class levels, the Royal Course and the Ocean Course, both of which are guaranteed to please golfers of all standards. Originally a single course designed by Sir Henry Cotton and twice host of the Portuguese Open (now known as the Algarve Open) they have been redeveloped into two beautiful courses with quite different terrain and feel. 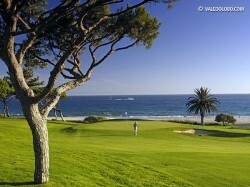 Both now lead players through beautiful wooded scenery lining the fairways as far as the Atlantic, where the Royal Course hugs the edge of the jagged red cliffs and the Ocean Course dips down enticingly close to the beach, especially on the eleventh, fourteenth and fifteenth holes, giving a taste of the golden sands that await you later in the day. Take your pick between the two – the Royal is perhaps the more prestigious and dramatic, the Ocean perhaps the more excitingly challenging in its own way. Green fees are €150 for eighteen holes but they are well worth it – and if budget is an issues you could always opt for nine holes and give yourself some extra downtime relaxing on the beach. Minimum handicap is 36 for women and 28 for men and as you would expect on a course of this calibre, advance booking is a necessity – visit our golf page for contact details. Aim for an early start especially if you visit in high season, in order to avoid the hottest sun of the early afternoon and to leave yourself plenty of time for a leisurely lunch on the sands. 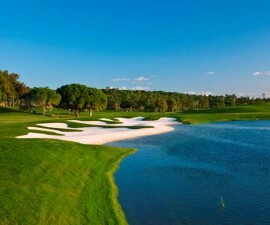 Once your round finishes, rather than head away from the Vale do Lobo, embrace the resort and spend some time exploring its 20,000 of exceptionally beautiful verdant landscape that rises away from the shoreline in one direction and drops down to meet it in a series of dramatic jagged cliffs and golden sands in the other. 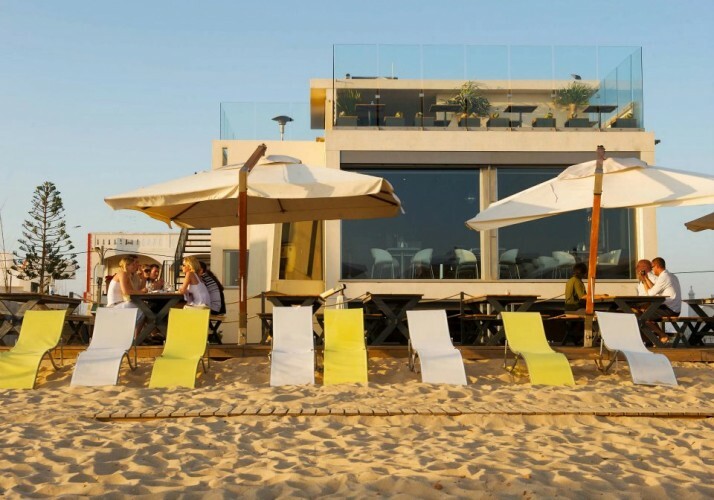 Here the beach seems to sum up every famous image of Portugal’s Algarve region in one glance and it is the perfect place to rest and relax over a leisurely lunch and muse on your morning’s golfing experiences. The heart of Vale de Lobo dining is the Praça Vale de Lobo, where a collection of restaurants sits perched overlooking the sandy beaches and the impossibly blue waters of the Atlantic. 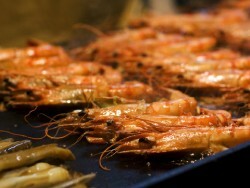 As you would expect from a resort of this type, all the restaurants offer high quality food with excellent service. Try Sandbanks for tasty fish and seafood freshly caught and cooked, washed down with a bottle of local wine or an international offering from the extensive wine list. The large open terrace gives the feeling of bringing the sea right into the restaurant, but if looking at it is not enough, head down to the water for a dip before retreating to a sunlounger for a well deserved rest. There are water sports aplenty here if you have not had your fill of active action for the day, but whether you prefer to watch or take part this beautiful beach is certain to entertain. Head back to your hotel to freshen up before hitting the sands again to complete your day of golf, gastronomy and golden sands. 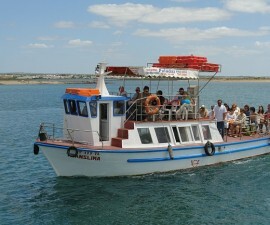 This time you are headed for the Praia de Faro on the Ilha de Faro, the long sandspit that wraps itself around the city’s coastline creating the lagoon of the Ria Formosa. 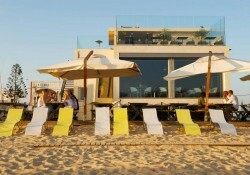 Suigeneris Restaurant is your destination, a contemporary establishment set out over three floors right on the beach of the Ilha de Faro. 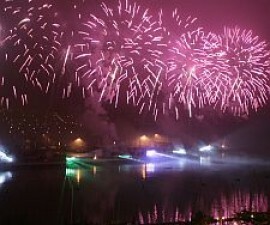 A bar, snack area, formal restaurant and wrap-around terrace are accompanied by a dance floor and ambient house and jazz-inspired tunes which become increasingly danceable as the night draws on. Relax on the terrace, sink your toes into the sand, tuck into a sushi platter over a well-earned cocktail and create your very own memories of Faro.